Cruising north along the southern coast of Connecticut, with the acoustics of Dave Matthews and an afternoon cup of french-pressed coffee setting the tone, excitement level was off the charts. 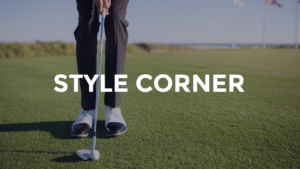 We had just experienced golf at two New York City public golf greats – newcomer Trump Golf Links at Ferry Point and the famed Bethpage Black – and we were on a beeline toward Titleist headquarters in Massachusetts. 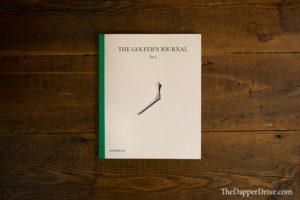 A few days prior, we’d met a group of guys while camping out for tee times at Bethpage Black, including a member of the digital and marketing team at Titleist. 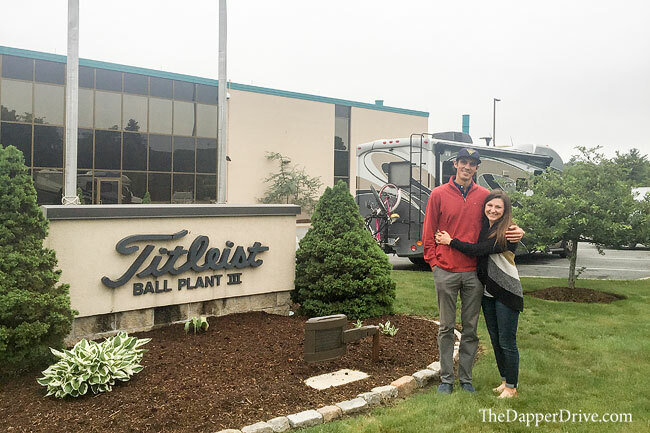 After an evening of golf stories and local NY pizza – both shared in the comfort of the Bethpage parking lot – Brittany and I were invited to stop by Titleist headquarters for a tour of the nearby Titleist golf ball plant. As a devout player of the Titleist Pro V1 since my high-school golf days, I couldn’t wait to get an inside look at how the best ball in golf was made. 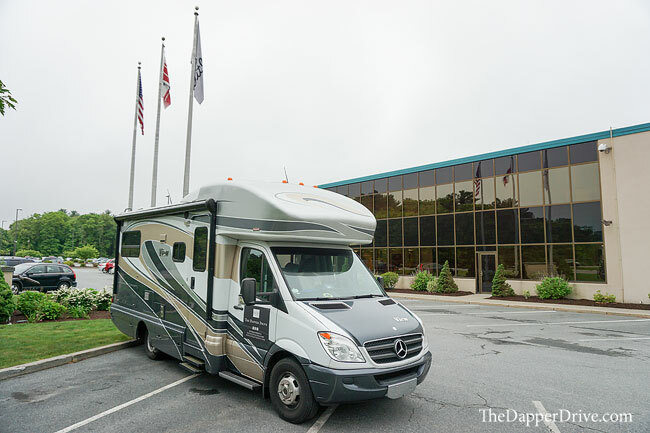 After fighting a little I-95 traffic, we finally made it to Massachusetts, parked the RV and headed into the Titleist golf ball plant. 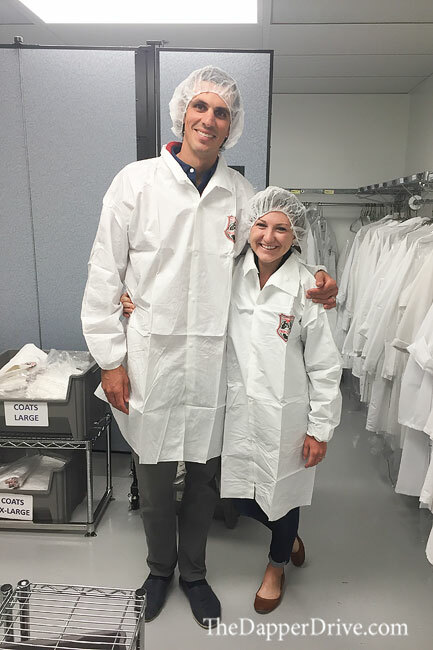 Eager to see what was behind the doors, we were greeted by our hosts — Abby, a member of Titleist’s digital team, and Bob, a plastics engineer and expert on the beginning to end golf ball manufacturing process. Off we go! Walking through the manufacturing facility, my first impression was sheer amazement. The size, breadth, and complexity of the golf ball plant was a sight to be seen. Machines churning as floor workers bustled about, each laser focused on their task at hand. 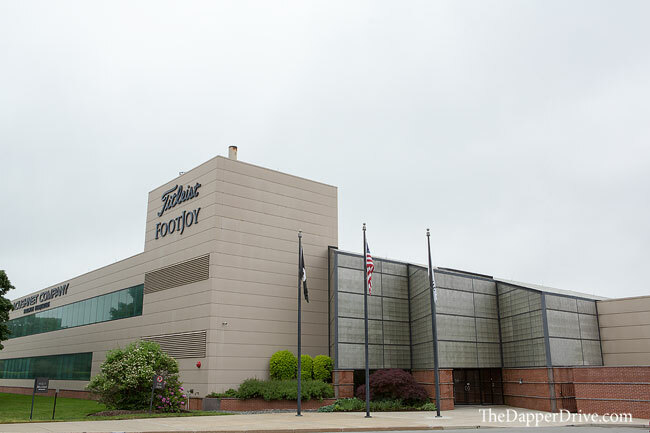 We quickly learned that this was one of two plants in the world that produces the Titleist Pro V1 and Pro V1x golf ball (this plant also produces the cores for some NXT Tour balls, too), running around-the-clock five days a week all year long. So how many balls are produced here daily, I wondered? “A couple hundred thousand,” I was told. Cue jaw dropping. That’s a lot of golf balls! But then again, we’re talking about the number one ball in golf used around the world by dedicated Titleist golf ball players at all levels. Starting the tour in the back of the facility, we gazed several stories up at a large, stainless steel cylinder known as the “hopper”. This is where it all begins. Raw materials are loaded into the hopper, where they’re heated, mixed, and gravity takes over. The end result are thick sheets of purple, pink and green material (depending on what model ball is being made) that will eventually become the cores of the V and X. Rigorous quality testing is done by a team of engineers, before the sheets are approved to continue on in the process. 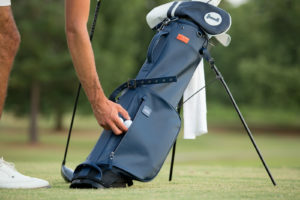 Over a series of steps, the sheets are converted into round cores for the golf balls, receive a thin casing, and then continue to travel down the line for the application of a urethane cover. Amazingly, each machine that produces the custom V and X covers come from a single golf ball mold for each. This ensures that every one of the 352 dimple-covered V’s and 328 dimple-covered X’s are absolutely identical. Watching the pink and purple cores of the Pro V1x engulfed by a thin liquid layer that hardens to become the urethane cover was definitely my favorite part of the process, as it’s at this point the golf balls really appear to come to life. After each and every ball is weighed and X-rayed (to ensure consistency and quality) they make their way to a separate wing for a few light coats of paint. Though understandably no camera’s were allowed inside the ball plant, Abby gave us the go-ahead to snap a picture in this area. Here’s a look at the stylish gear we got to wear for this part of the tour. Very dapper, I know. It’s at this point the balls are ready to be stamped with the “Titleist” logo (and any customization) and receive a clear coat of paint to finalize the process. A few last quality control checks — both by machine (X-ray) and by Titleist employees, and off the balls go to be boxed and shipped to a pro shop near you. As you can imagine, I’m only scratching the surface here with the brief description I provided above. After the 90-minute tour, there were a two things that really stood out to me in the Titleist ball making process. Attention to Detail — The number of quality checks throughout the process is unbelievable. At every turn, there’s a computer, X-ray machine, or devoted Titleist employee double and triple checking the golf balls. From the point of raw material to final product, the Pro V1 undergoes 90 product and process checks while the Pro V1x (which is a 4-piece ball vs. the 3-piece Pro V1) undergoes 120 checks. 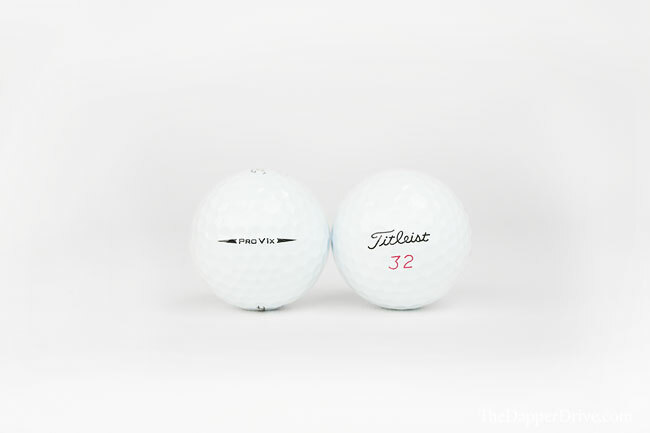 Titleist prides themselves and is fully dedicated to assuring that each and every V and X will perform identically on the course for all Titleist golf ball players. Passionate People Reign Supreme — Behind the processes, machines, and abundance of modern technology used in the golf ball making process you’ll find Titleist’s secret weapon: passionate people. From engineers to line crew, the passionate group of team members are the x-factor that makes Titleist tick. A quick glimpse at the team chart before you walk onto the floor, and you’ll see numerous employees who’ve been working for the company tirelessly for over 40 years. The most years of service? 52-years. And the best part, she’s got no plans to retire anytime soon! As imperative as today’s technology is to create the Pro V1 and Pro V1x, it’s the people of Titleist that are instrumental in driving the success of the number one ball in golf. Beyond Titleist headquarters, even avid amateur golfers like you can be part of the testing process as many Team Titleist members are given the opportunity to join the golf ball testing team. Learn more about that here. At the end of the facility tour, we stopped to check out the wall of fame, as I call it. A large Titleist canvas peppered with signatures from guys like Rickie Fowler, Adam Scott, Jimmy Walker, and Jordan Speith, to name a few. Many of the Titleist Tour players routinely stop by the plant to get a glimpse at the hard work and dedication that goes into creating arguably their most important piece of equipment. A cool touch to the plant facility, and a great way to end an unforgettable experience at Titleist. Whether you’re a PGA Tour winner, a scratch player, or a weekend warrior aiming to break 90, there’s no question that there’s no better golf ball to chase those goals than the Titleist Pro V1 and Pro V1x. Curious if I’m a “V” or an “X” guy? Find out which Pro V1 I prefer here. Read more about the Titleist Pro V1 story here.